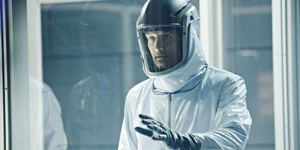 On the eve of the season finale of the new science fiction hit series Helix the SyFy Channel has announced it has renewed the show for a second 13-episode season. 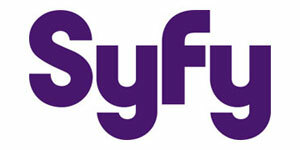 SyFy has it slated to return to its Friday night lineup in the winter of 2015. Helix stars Golden Globe nominee Billy Campbell, Hiroyuki Sanada (The Wolverine), Kyra Zagorsky (Polaris), Mark Ghanime (Emily Owens, M.D. 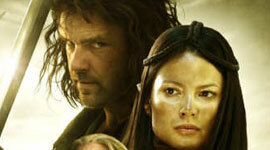 ), Jordan Hayes and Neil Napier (Immortals). The series centers around a group of scientists and CDC inspectors stranded at a research facility in the Arctic Circle, trapped there during a deadly disease outbreak and hunted down by corporate thugs bent on getting their hands on the plague and its cure. The biggest secret is the effects of the disease on a select few who can survive its onslaught. During the first season the show saw a lineup of guest stars that included Star Trek: Voyager star Jeri Ryan playing a deliciously evil character, Robert Naylor (Being Human), Catherine Lemieux and Meegwun Fairbrother. Helix has proven its sustainability with the all-important 18-49 male demographic in one of the toughest time-slots in TV programming. First its on Friday night, secondly its competition is the highly acclaimed CBS Tom Selleck vehicle Blue Bloods and the NBC power duo of Grimm and Hannibal. I honestly didn’t know the show had even started yet… I gave my cable company the middle finger and am 100% Hulu now, and unfortunately SciFi doesn’t seem interested in streaming their shows. (I don’t care how good a show is, it’s not worth $50-90/month to watch it). It’s in the in-between zone where they only have the most recent 5 episodes available to watch for free after 30 days, but my guess is that sometime later this summer or fall, they’ll put all the episodes up to watch for a week or two. I also don’t know how their 30-day rotation works, because by that calculation, the first 3-4 episodes should already have been on the site. Really? and they cancel Being Human? I guess i shouldn’t be surprised. 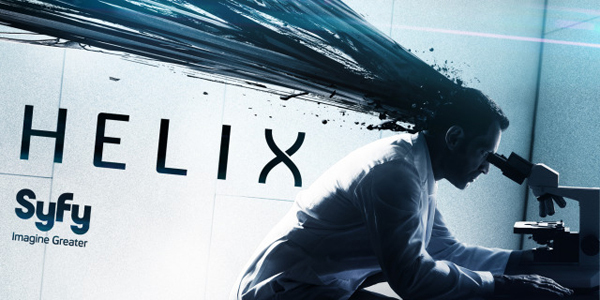 I barely made it through the pilot of Helix it was so slow and boring. It has all the worst properties of low budget TV Sci-fi, overacting and too much time showing actors running around doing nothing but looking perplexed at what may or may not be happening without showing anything at all. Warehouse 13 is the last show on SyFy i watch, and after this summer I’ll be done for good! Mark, the SyFy Network did not cancel Being Human. The show’s creators and writers made that decision not the network. The writers felt they had taken the characters about as far as they could and didn’t want it to become just a rambling on…and I get that. The same thing happened to the original UK version after only 3 seasons and the main stars began leaving and were replaced for the the 4th and final season. The American writers believed that same kind of thing was likely to occur with the US version. Now, Warehouse 13 is a totally different animal. That was purely a decision made by SyFy network head Mark Stern and the parent company bosses at NBC Universal and the big boss – Comcast. They wanted Warehouse 13 gone. The reason they gave was a not a good one but, very sadly, it is a done deal for now. Helix has actually had a decent season and Jeri Ryan’s character was definitely one of the highlights. It is a bit slower than I normally like in a SciFi and some of the family drama could be dropped without missing it. But i’m looking forward to where they might take it in the 2nd season.